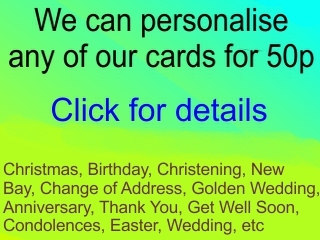 Our current bargain offer is a pack of 18 assorted cards for £15 (free postage). Just visit us or get in touch by phone, post or email to order a pack. 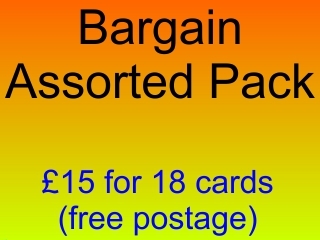 Watch out for more bargain packs - including a Bargain Pack of Christmas Cards.